This April, NET-A-PORTER unveils the largest JET-A-PORTER shop to date, featuring 59 exclusive capsules and 32 new brands across the high summer season. All aspects of the destination wardrobe are considered, from everyday essentials to cocktail dresses at sundown. Prep and packing is made easy with effortlessly chic styles from DOEN, ANCIENT GREEK SANDALS and LISA MARIE FERNANDEZ. A highlight of the JET-A-PORTER vacation edit, ZIMMERMANN has created an exclusive capsule in a range of leopard, palm and batik printed silks and linens, spanning RTW, swimwear, accessories, and footwear alongside the launch of their exclusive new eyewear range, Eyes on Summer. Jewelry brand ALIGHIERI launches their first ever footwear collection exclusively with NET-A-PORTER. The collection of espadrilles provides the wearer multiple options including a removable Lion or teardrop charm alongside an anklet chain, which can all be removed and worn as necklaces. Make a splash in standout swimwear from SOLID & STRIPED, ERES and MARYSIA alongside new brand ALL SISTERS who create their innovative pieces from recycled fabrics. Embellished accessories from AQUAZZURA’s new bag range provide the perfect accompaniment to destination dressing in addition to new brand VANINA, HEREU and MIZELE. Finally, evening options from BERNADETTE, REBECCA DE RAVENEL and DE LA VALI lead our edit of ways to amp up the glamour at golden hour. Summer workwear is made easy with exclusive wardrobe capsules from TIBI, ARJE, THEORY and new brand WRIGHT LE CHAPELIN. 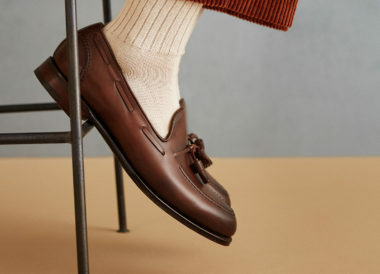 Dress from the feet up with the likes of THE ROW, STAUD, GABRIELA HEARST, GIANVITO ROSSI and PRADA who provide the perfect elevated options to take the wearer from the boardroom to the boardwalk. VERONICA BEARD, NANUSHKA, KHAITE and CHLOE complete this summer in the city edit. Kidswear will also be offered as part of the launch, with 21 brands and over 160 options launching for girls and boys. Key brands include ZIMMERMANN, DOEN, MARYSIA, PIPPA HOLT and ANCIENT GREEK SANDALS. Our global customer is always on the move, and while our permanent vacation shop on site is refreshed constantly, this summer, she will be able to access the largest curation of brands and exclusive capsules to date, enabling her to find everything she needs for that chic escape.